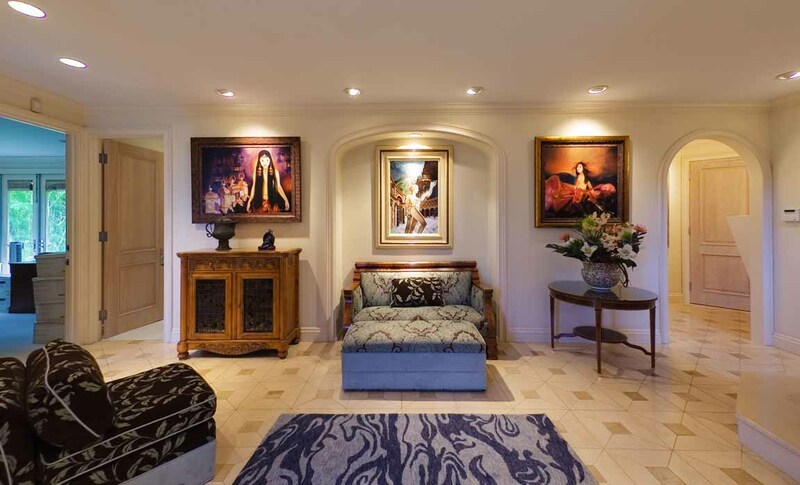 Luxurious Great Room sliding wall of glass to Lotus Ponds, Gardens, Pool, Waterfall, Marble verandah. 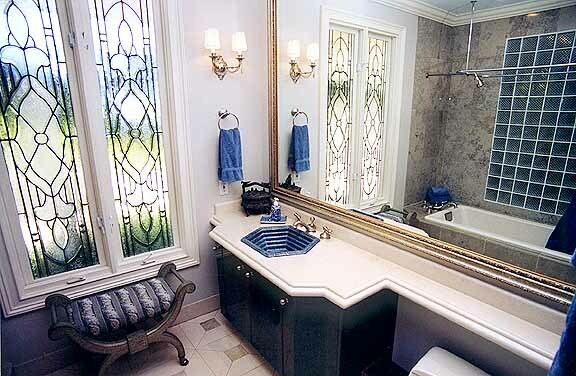 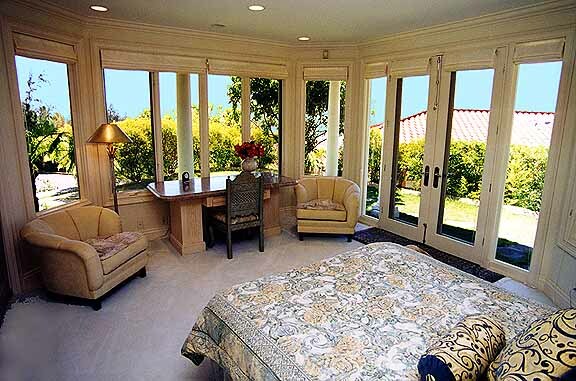 Master Suite with King Bed, Waterfall View, Master Bath with large soaking tub and circular glass block shower for two. 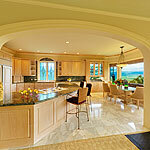 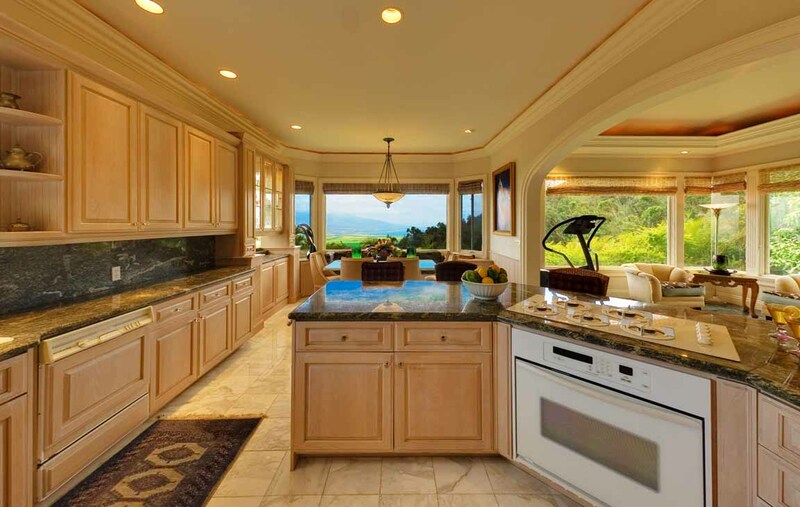 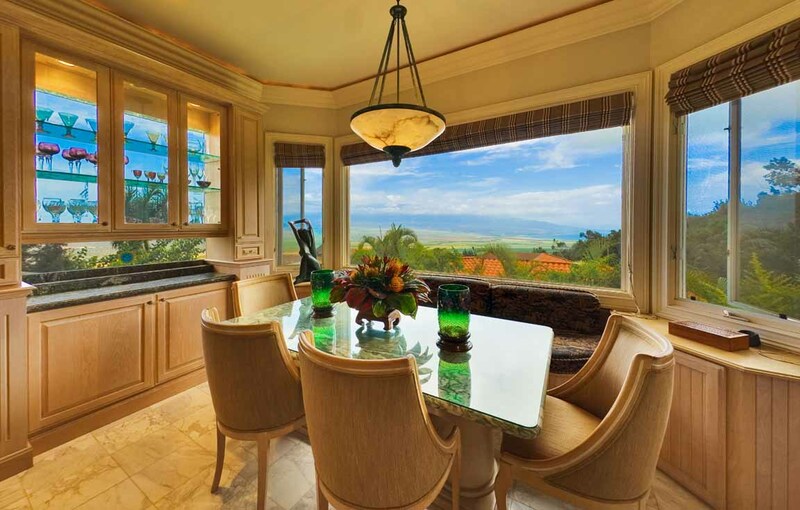 Luxurious Gourmet Kitchen, Dining for nine guests, adjoining marble fireplace and 45' Great Room. 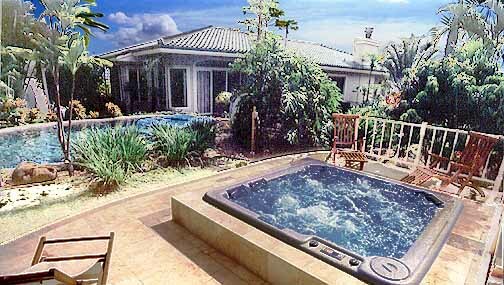 Lotus Pond, Swimming Pool, Waterfall, and Jacuzzi Spa. 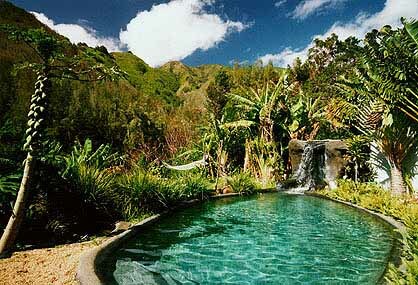 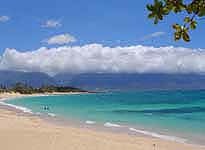 Papaya, Banana, several species of Palm, native Hawaiian plants and trees, Taro and flowering water lilies. 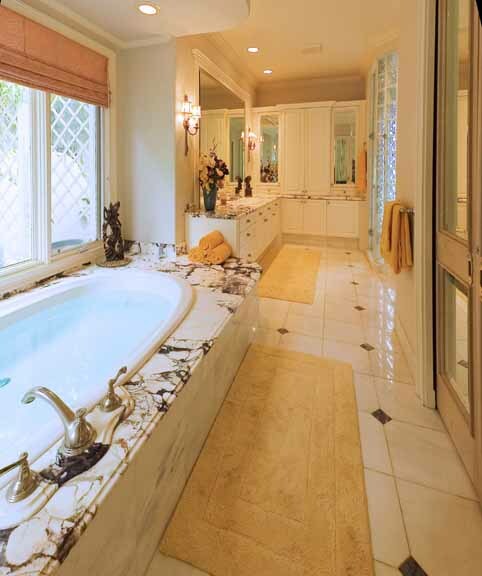 Master Bath with soaking tub and walk in closet. 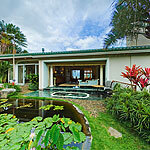 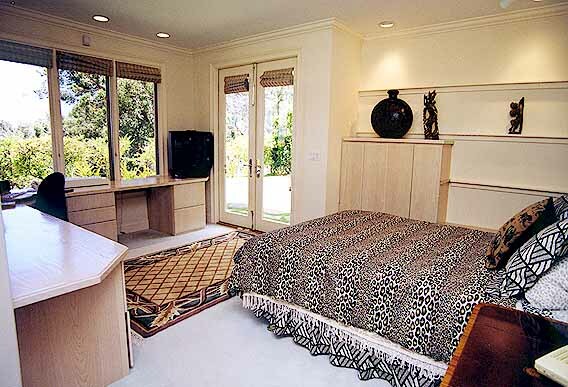 Great Room and Master Bedroom open to the natural sounds of water from the Lotus Pond and waterfall. 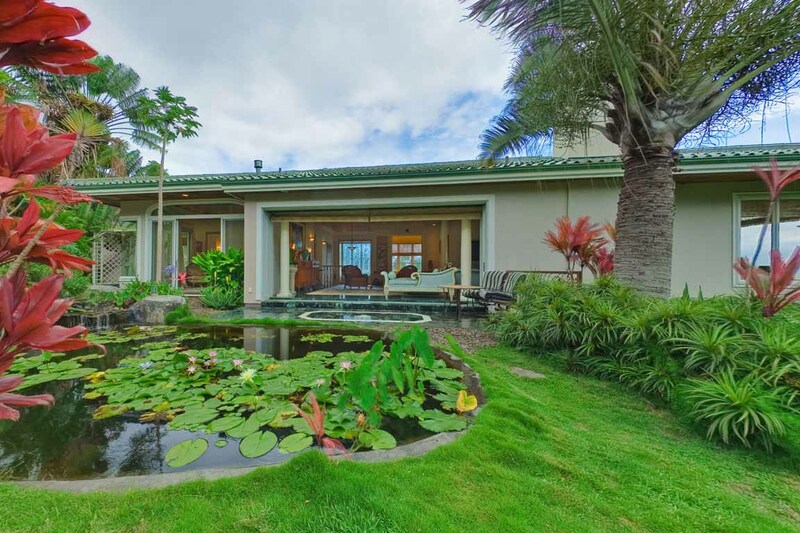 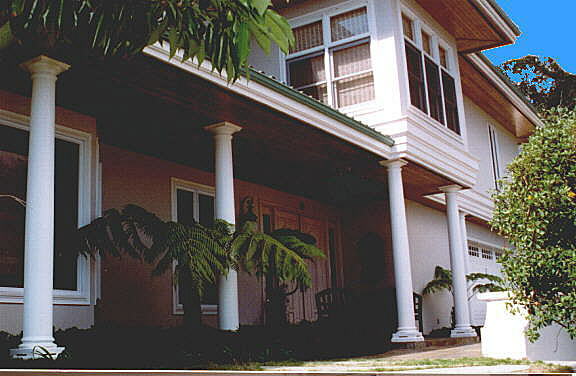 Lotus Waterfall House (with green glazed tile roof) is nestled high above the upscale neighborhood of Wailuku Heights, Maui. 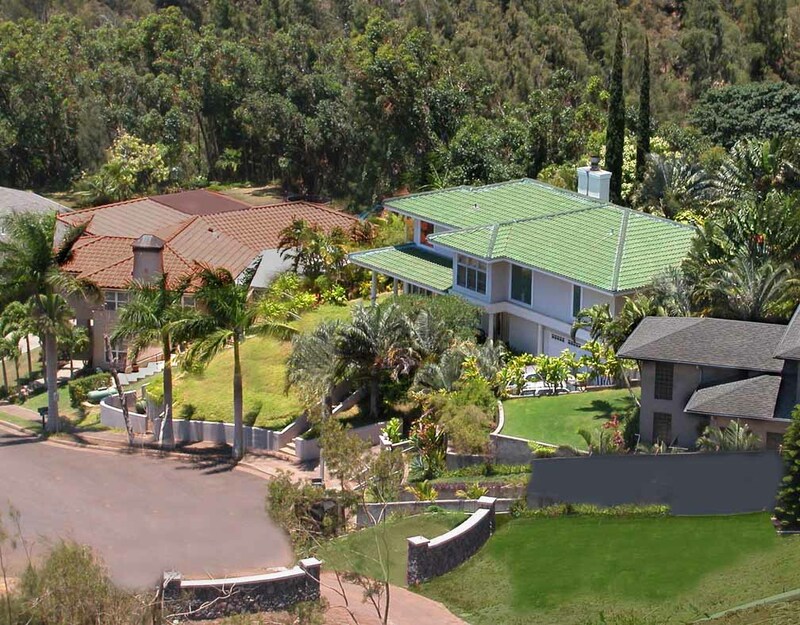 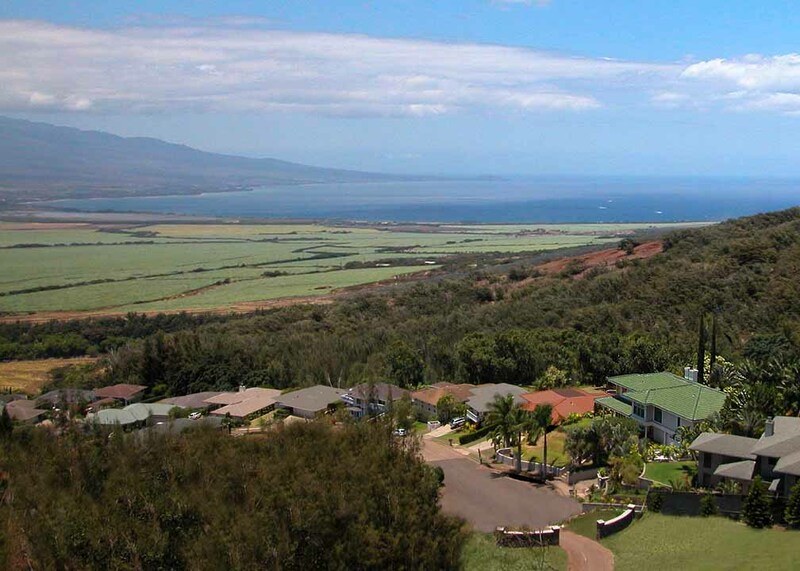 Lotus Waterfall House (right with green roof) overlooks the Blue Pacific and Wailea in the distance.